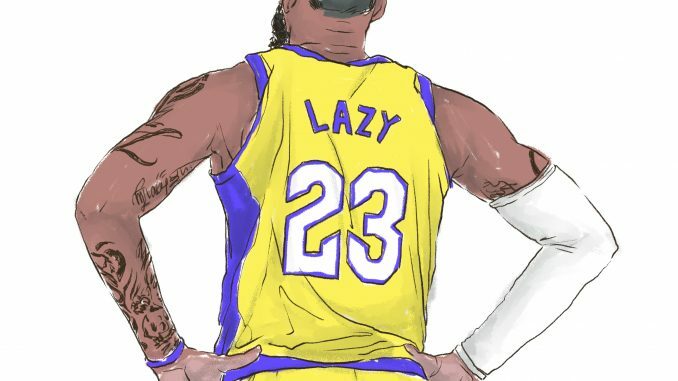 LeBron James and the Los Angeles Lakers were a major disappointment this season. As injuries and losses piled up, the Lakers were eliminated from the playoffs. The trade speculation surrounding Anthony Davis and the Lakers ruined the team’s camaraderie. Los Angeles’ front office made every player except James expendable, basically saying they are all replaceable and unimportant. This created animosity between James and the roster — he acted as an assistant to the general manager and helped make moves behind the scenes. The tension in the Lakers locker room resulted in 15 losses in 21 games after the trade deadline. This is the sixth consecutive season the Lakers have missed the playoffs and the first time James has missed the playoffs in 14 years. But the most disappointing part of the Lakers’ season is James quitting on his team to prepare for a film he is starring in this summer. On Christmas Day, the Lakers were the No. 4 seed in the Western Conference after defeating the defending champion, the Golden State Warriors, in Oakland, California. The young core of Lonzo Ball, Kyle Kuzma and Brandon Ingram mixed with crafty veterans Lance Stephenson and Rajon Rondo seemed to be a nice supporting cast for James. The Lakers were destined to challenge the Warriors for the Western Conference title — until James’ groin injury. It was the first crack in LA’s fragile armor. With the team’s superstar sidelined after straining his groin on Christmas Day, Los Angeles lost 11 of its next 18 games. The Lakers fell from 20-14 to 27-25, dropping to the No. 9 seed in the Western Conference. 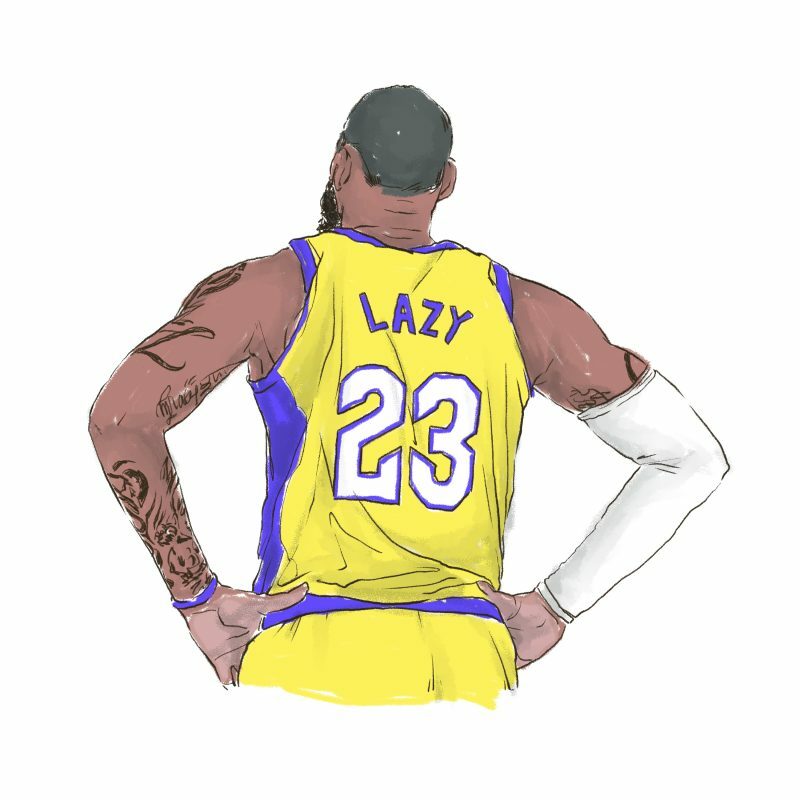 James’ injury was the beginning of the end to the Lakers’ once promising season. Los Angeles took another serious hit while James was recovering from his injury. Starting point guard Lonzo Ball suffered an ankle sprain on Jan. 19 against the Rockets. Ball made a huge impact on defense in his second season, and his injury reflected that. According to USA Today, the Lakers had the seventh-best defense in the league before Ball’s injury. The team dropped to 28th after he was sidelined. Ball’s injury proved yet another damaging blow to the Lakers season. Ball was never cleared to play after the ankle sprain and was shut down for the rest of the season on March 9. Lakers small forward Brandon Ingram’s season came to an end the same day after undergoing surgery on his arm. Los Angeles was never able to recover after losing its two young stars. The absence of Ball and Ingram was the most debilitating loss suffered in the Lakers’ season. As the NBA approached the trade deadline, the biggest news around the league were the trade speculations surrounding the Lakers and Anthony Davis. Team president Magic Johnson essentially put the entire team — except James — on the market for Davis. Los Angeles offered Ball, Kuzma, Ingram, Josh Hart, Ivica Zubac, Kentavious Caldwell-Pope and two first-round draft picks for Davis. The offer created tension between James and the other players: Los Angeles’ front office created a rift in the roster and ruined team chemistry. The Lakers fell into the Pelicans’ plot to destroy the Lakers internally, through their greed and impatience to land another superstar. Ultimately, the Pelicans rejected the offer, and the Lakers played themselves. Los Angeles was eliminated from playoff contention after losing to the Nets on Mar. 22. The defeat capped off a depressing season for a team expected to reach the Western Conference Finals. The loss continued the Lakers’ postseason drought. The last time Los Angeles made the playoffs, Dwight Howard and Steve Nash were starting players. As one streak continued, another came to an end. LeBron James 13-year postseason appearance and eight-year NBA Finals appearance streak abruptly ended. The 2018-19 Lakers are the most disappointing NBA team in recent memory. On Mar. 30, James was reportedly “shut down” for the rest of the season. Unlike his teammates, Ball and Ingram, James wasn’t dealing with a season-ending injury at the time of the report. Even though the rest of the Lakers games were meaningless, James basically quit on his team. With only six games remaining on the schedule, James should have finished the season for his team. Los Angeles reported that James needed rest for his groin injury, but he is really just resting up for the summer. James is scheduled to star in “Space Jam 2,” a modern remake of the classic cartoon and basketball movie featuring Michael Jordan that was released in 1996. Many compare James to Jordan, but one thing Jordan never did was quit on his team and shut himself down for the rest of the season — especially to shoot a movie. James’ loyalty is without a doubt in question. No wonder he’s having trouble recruiting players to star in the movie with him.